• Patrons will still be able to carry other items into the coliseum such as binoculars, cameras, and smart phones, but carrying cases will NOT be allowed. • Working media will continue to be able to bring in items needed to perform their job duties, however they will be subject to screening and bag inspections in the same manner as past seasons. 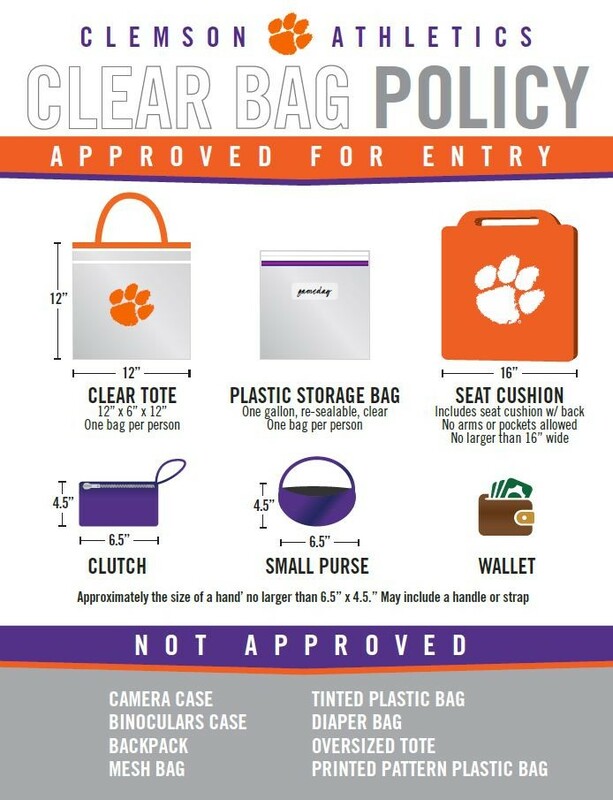 Prohibited items include, but are not limited to: artificial noisemakers, backpacks, non-clear bags or purses, banners/flags/flag poles, coolers, outside food or beverage, or weapons of any kind.